This is the story of two cellmates in an Argentinean prison in 1975. Molina (Samuel Barnet) a gay man, arrested for corruption of minor, is a romantic soul who dreams to find the right man and live forever with him. Valentin (Declan Bennet) is a political prisoner who fights to overthrow the government. Two very opposite persons. But day after day they bond more and more. Molina is a movie lover and tells to Valentin some movies that he remembers: stories of love, of zombies, of monsters, of betrayal. And day after day their relationship becomes deeper. But Molina is actually a spy put in the cell to get information from Valentine about his organization. 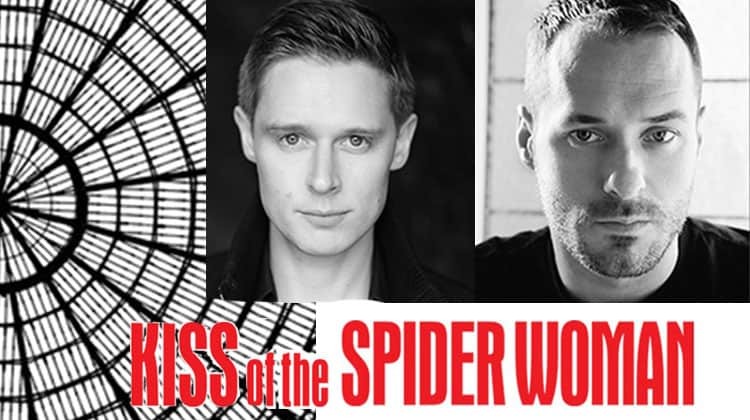 Kiss of the Spider Woman is a love story. It is a story about being lonely and being connected. It was a pleasure to see the relationship between the two guys progressing so naturally and so deeply. 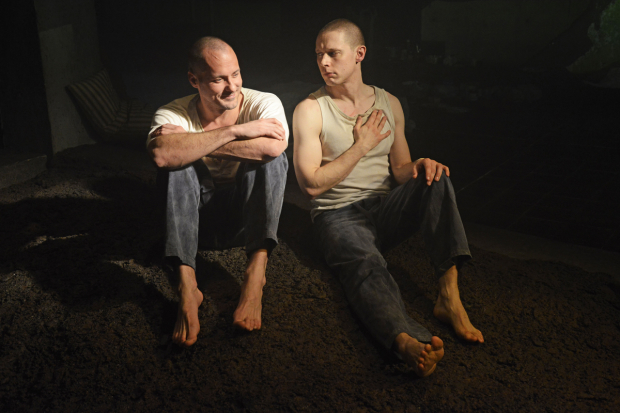 Samuel and Declan are just perfect in the roles. Samuel makes visible all Molina’s emotions: the fear, the romanticism, the attachment, the struggling to do the right thing, the love. He is an extremely versatile actor. On the other side, Declan is great as “the tough man” who, slowly, surrenders his heart to Molina. One of the best thing about the show is the design (designed by Jon Bausor): when Molina tells his movie stories, they are projected on the walls of the theatre as stylised cartoons and I think the effect was really remarkable. It is good theatre. Don’t miss it.